Following the conclusion of Nintendo’s E3 Spotlight 2017, they saved one more surprise for Treehouse Live via Metroid: Samus Returns for the 3DS. A remake of 1991’s Metroid II: Return of Samus, it turns the dusty Game Boy Metroid into a 2.5D polygonal experience. As before, it looks like you’ll be hunting down all the Metroids remaining on SR388. With Samus Returns, the mechanics of yore are getting an update as well. Aeon Abilities are brand new and give new powers to Samus’ suit, albeit in limited quantities. 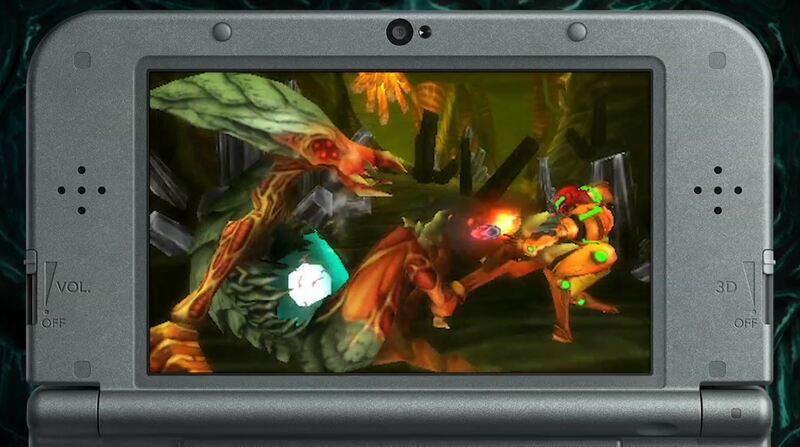 Examples shown included a Scan Pulse, which shows hidden paths and secrets while Samus is on the move. Mercury Steam will be handling development duties. The studio previously worked on Castlevania: Lords of Shadow – Mirror of Fate for 3DS, which launched in 2013. Samus Returns launches later this year, September 15th to be exact, so fans won’t have to wait long for the return of Samus.